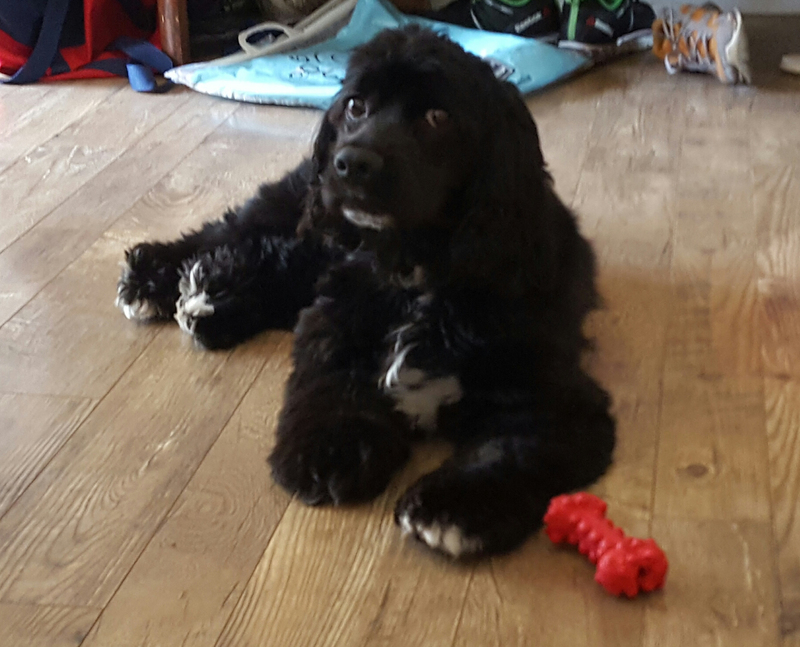 Marty [Adopted 10/16] is an 18 month old Cocker Spaniel, he is a black with a little white on his chest, chin, belly and on the bottom of his paws. He was originally purchased from a pet store by a family. He had a mom and dad and a couple children to play with, but then grandma decided he had to go, so he was surrendered to us when he was a year old, you see Marty has a submissive wetting problem. We have worked on that issue here in his foster home, he is doing much better but still has occasional submissive wetting issues. When we first got Marty he was like a sprinkler system, he has gotten so much better but will submissively wet when meeting new people, or when overly excited, it is best if he meets visitors outside, then when he calms down, its safe to come inside. Marty also does not like the feel of grass on his little feet, we are working on that behavior but he is still resistant and has to be sternly told to "go on" while pointing my finger to the yard or he will stay on my deck. He is house broken, he does not purposely mess in the house only the submissive wetting issue. 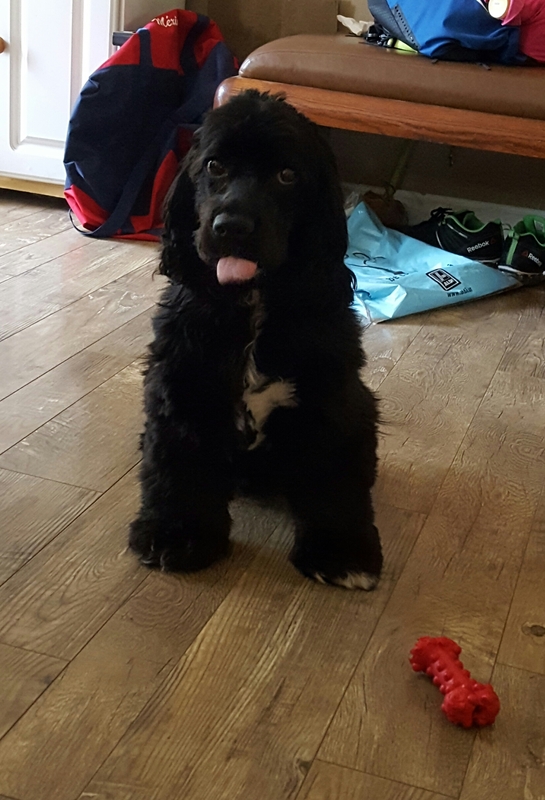 He is crate trained and sleeps in the crate at night, he is still a young dog and will sometime chew on inappropriate items if left unsupervised, he is a toy "destroyer" and loves to chew up toys, especially soft plastic or cloth toys with stuffing. Marty is a wonderful dog, he is such a happy little fella. He is very high energy and gets along with other dogs. He loves walks, (which helps cut down on submissive wetting) and does a little swimming as well. He loves everyone on two or four legs, he does tend to want to chase the cat a little, but our cat kind of eggs him on. 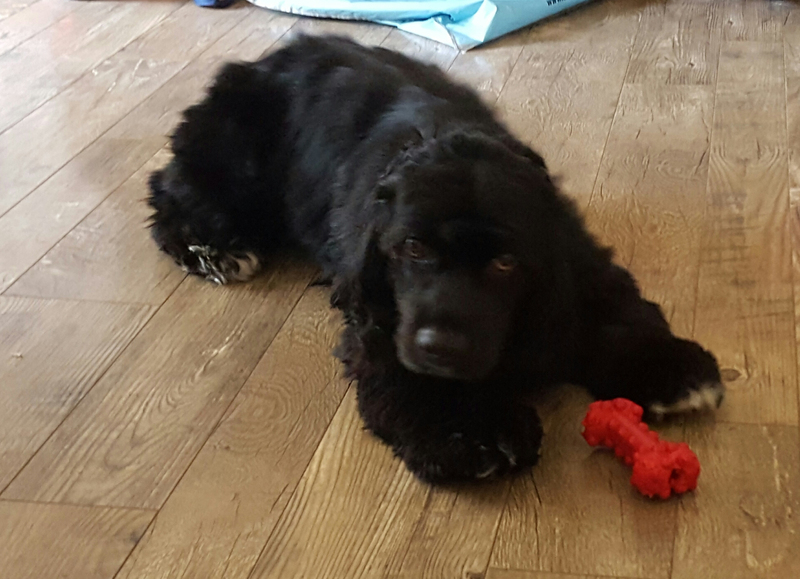 Marty would do best in a home with kindness, patience and understanding, a home without carpeting (just in case of an accident) and he would love a playmate, preferably a playmate around his own age who is also loves to play. Marty was a participant in this years "Wigglebutt" Walk, and took 1st place in the wigglebutt contest, he also very, very much enjoyed the lure course (he went 3 times and didn't want to stop"